Missouri National Guard soldiers Sgt. 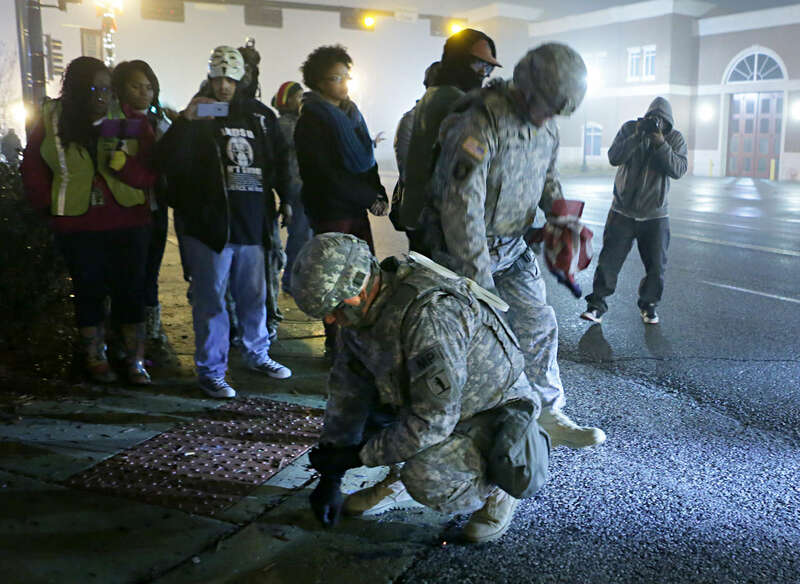 First Class Eric Allison (left) and Major Lance Dell collect pieces of an American flag protesters burned and tossed to the ground outside the Ferguson police department Thursday, Dec. 4. 2014. "They're treating it as trash, it's not trash to us. We're not going to let them throw it on the ground and leave it there" said Dell.